Of the 3.6 million middle- and high-school students who said they are tobacco-product users, 2.1 million used e-cigarettes, according to the Centers for Disease Control and Prevention. 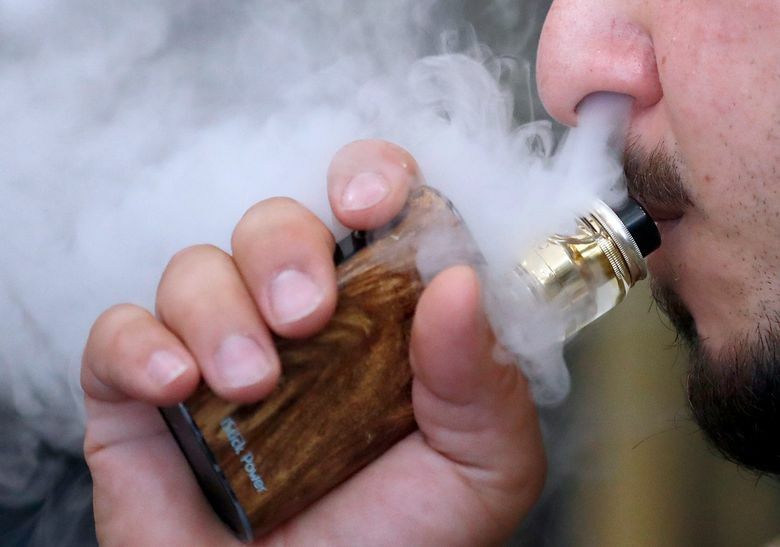 The Food and Drug Administration is threatening to pull flavored electronic cigarettes like Juul off the market if the tobacco industry doesn’t do more to combat growing use of the products by children and teens. “I have grown increasingly concerned around what we see as rising youth use in these products, and I’m disappointed in the actions the companies have taken to try to address this,” Gottlieb said in an interview. The FDA told five major e-cigarette manufacturers Wednesday to come up with ways to address youth use in 60 days or the agency could require them to stop selling flavored products that appeal to children. The products being targeted are: Juul, Altria Group Inc.’s MarkTen, Fontem Ventures’s blu, British American Tobacco’s Vuse and Logic. “This could result in a bullet through the head of Juul, the driver of youth initiation,” said Nico von Stackelberg, an analyst with Liberum in London. “I certainly am in possession of evidence that warrants that,” Gottlieb said. He declined to disclose the evidence. A nationwide sting operation from June through August resulted in more than 1,300 warning letters and fines to retailers who sold Juul products and other e-cigarettes to kids. It was “the largest coordinated enforcement effort in the FDA’s history,” according to the agency. Gottlieb recently began to ask whether the use of Juul and other similar products by kids is overshadowing any benefit to adult smokers using the devices to help them quit cigarettes. He said in June tobacco companies “better step up and step up soon” but he didn’t divulge what consequences the industry could face — until now. Congress gave the FDA the authority to regulate tobacco products in 2009. The agency extended that reach to other tobacco products, including e-cigarettes, in August 2016 and allowed those products that were already on the market to continue sales while preparing an application for FDA clearance. The FDA is investigating whether some products on the market were introduced after the 2016 date and may need to halt sales, though didn’t name which ones may be violating the law.